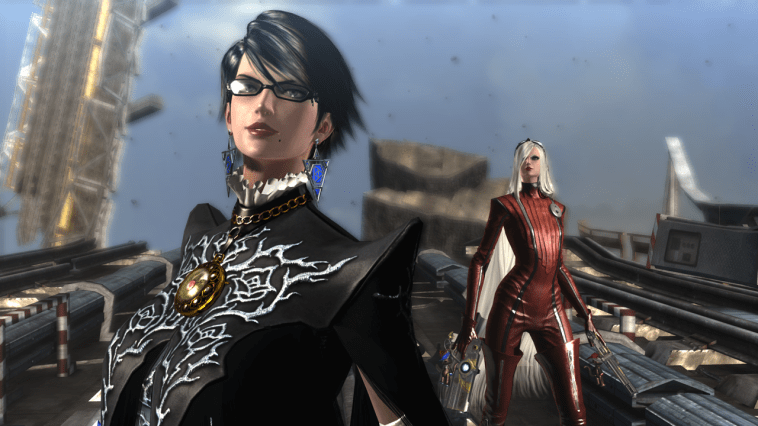 The troublesome twosome are back in Bayonetta 2 following the fantastic original. It’s weird to think that Bayonetta 2 may have never happened. Given the amount of praise the original got from almost every publication, you’d have expected the game to have sold well, but at ~2 million units sold, it didn’t make as much money as Sega would have hoped. 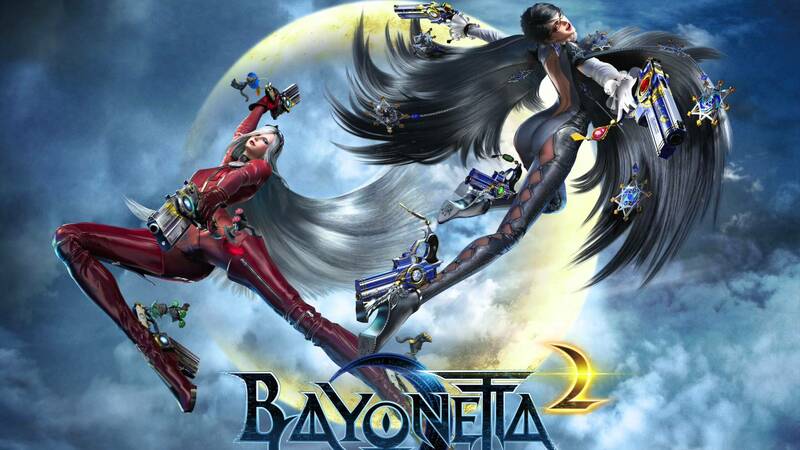 Going from publisher to publisher trying to sell the premise of Bayonetta 2 was unsuccessful for the most part, until Nintendo stepped in at the last minute to fund the making of a second Bayonetta. It was a move that fans appreciated the world over, and I for one thank them after playing the masterpiece that is Bayonetta 2. The game starts out with Bayonetta Christmas shopping with her partner in crime following her every step. It’s here that something’s amiss, with angels coming down and attacking jets going through the city, prompting Bayonetta to jump into action to put a stop to these “evil” beings, by fighting on top of a jet which is flying through the city. It’s a fantastic start to the game, one that shows how the game means to go on, with over the top action scenes and ludicrously tight fighting. From here the story only gets even more interesting, with Bayonetta’s best friend’s soul being taken to hell, and the balance between good and evil skewing, Bayonetta has no choice but to fly to Japan and it’s Fimbulventr mountain in search of both the gate to heaven, and the gate to hell. The gun heels are back, giving Bayonetta that unique look and feel she’s always had. These can be change and exchanged for swords, whips and all manner of other weapons. If you’ve played the original Bayonetta, or any action game like dynasty warriors, God of War etc. then you’ll know the basic mechanics of how the game will play out, with the game partially opening up to allow you freedom around a stage, and then putting you in a small arena to attack a bunch of enemies that spawn from no where. It’s a tried and tested technique, one that feels contrived but does the job of making sure you never go more than 5 minutes without fighting, because at the end of the day, the game lives and dies by its fighting mechanics, and oh boy do the fighting mechanics work well in Bayonetta 2. Every punch, kick, slash, whip and dodge feels fantastic to pull off, with combos flowing naturally as you jump between enemies, using your arsenal of different combos as you go. The dodging mechanic is easily the most empowering, as every time you successfully pull it off the whole world slows down allowing you to destroy your enemies faster due to something you successfully done. It’s gratifying, and one of the main reasons to keep coming back to the game, as you feel cool for doing it. I’d have many instances where a housemate of friend would pass by, watching the TV explaining they had no idea what was going on whilst I managed to skilfully dodge most incoming attacks. It empowers you like now other game has in recent memory, and for that I thank Sega and Nintendo for producing such a fabulous and entrancing system. Bayonetta 2’s graphics may at times look crude compared to modern PS4 and XBONE titles, but they’re a far cry from the original, with the game looking colourful and pretty without even trying. New weapons, abilities and moves are unlocked during the main campaign, allowing you to spec Bayonetta out like never before, with weapons like whips or swords helping to vary up your combat a bit, with each different weapon dealing different combos to help you out against specific enemies. Everyone will find their own groove with Bayonetta 2, and that’s the beauty of its fighting mechanics; they allow everyone to feel as empowered and as badass as Bayonetta acts in the face of peril. The game is rife with collectibles and unlockables, with every single fight being graded you feel compelled to come back to the game to do better in each and every encounter. The second you get hit instead of skilfully dodging a swing you sigh and groan, as it’s ruined your chance of getting a pure platinum award for this fight. It makes every encounter worthwhile and ties perfectly into the core fighting mechanic that feels so empowering. I managed to get around 75% of the collectibles on my first playthrough, totalling about 13 hours of story and gameplay. Once finishing the campaign I felt compelled to return to some stages to grade better, but was never able to find a few of the secrets I had missed on my first playthrough. Those of you that like to 100% games, be prepared to look up walkthroughs to find everything there is in Bayonetta 2. The story can be corny at times, with terrible characters falling from buildings to comedic effect and Bayonetta’s cockiness coming across a little close to the knuckle, but it doesn’t detract from the overall fun of the game at all , and if anything had me in stitches at times. Bayonetta 2 does not take itself seriously, and to a degree, neither should you, just sit back, relax, and have a load of fun. The action sequences that take part in cut scenes are astounding, making for an exciting game both when you’re passively watching it, as well as when you actively take part in it. It must be said that the soundtrack and graphics were top notch as well, with each battle having extremely catchy music (seriously, just take a look at it, called tomorrow is mine) and the whole game being extremely colourful it was a joy to traverse each level. There were a few platforming sections that felt a bit annoying, but these were limited and far between, ensuring you can stick to kicking enemies asses rather than exploration. 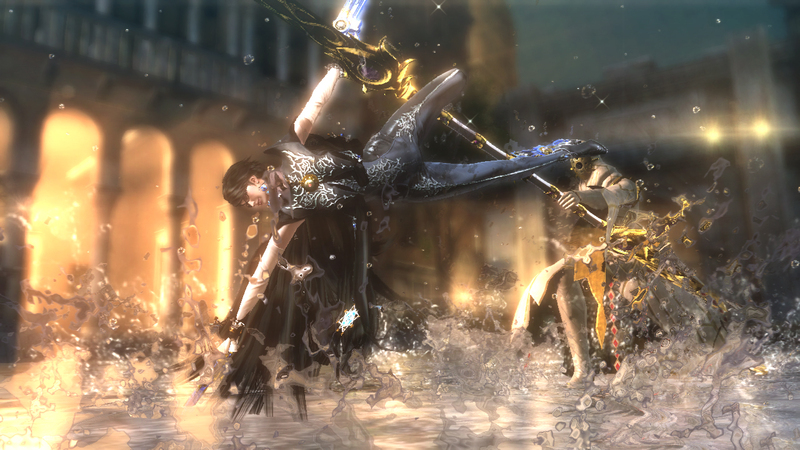 Bayonetta 2 feels like a love letter from Nintendo and Sega to gamers the world over. With the introduction of more serious topics in games, from gritty marines to the explosion and saturation of FPS’s, Bayonetta 2 stands alone as one of the games that looks to be fun, unadulterated, dirty and funny fun. Every mechanic in the game feeds back into each other to keep you entertained and constantly progressing, improving you both as a player of the game, but also ensuring you’re kept engrossed and never bore of any of the games’ key moments. It’s a fantastic game, one which justifies a Wii U’s purchase in itself, and one I wish more gamers would be able to experience. 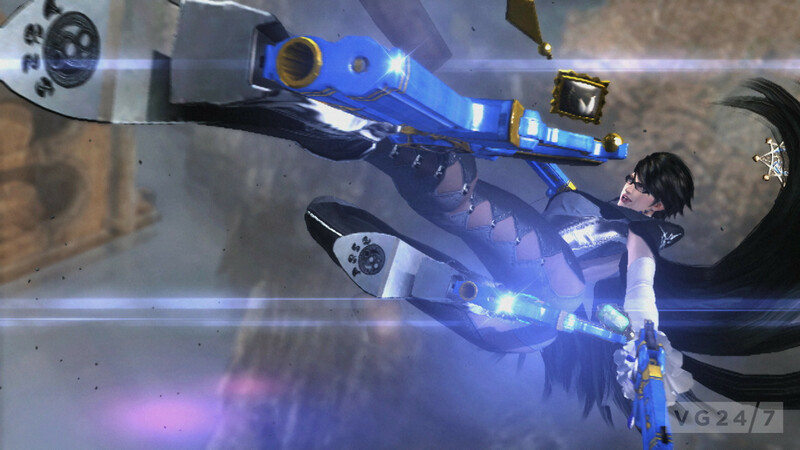 If you own a Wii U, you owe it to yourself to play Bayonetta 2.